WELCOME to issue 22 of NA News. This year 5 December is the big day for the Big Give, and with matching funds promised by our other supporters, any amount you can give on that day will be a tremendous help. Also in this issue we hear updates from our researchers, patients and other supporters worldwide. You can also visit us on the Web or on Twitter at @NAadvocacy, on Facebook and on Linkedin. On 5 December can you help us reach our vital Big Give goal? The Big Give, a three-day drive on 5-7 December 2014, is the most important single source of contributions to the Advocacy’s research to develop a therapy for chorea-acanthocytosis (ChAc). Can you help by logging on then to submit a donation of any size? The first annual review meeting of EMINA 2 has been held in Vienna, launched by a open public meeting in a hotel close to the centre for the World Neurology Congress, when Prof Danek and Prof Klopstock gave clinical overviews of NA and Neurodegeneration with brain iron accumulation. Andrew Frame will run in the Reading Half Marathon on 2 March 2014 along with colleagues from Grant Thornton. Andrew says he's never been much of a runner but he sees it as a challenge, a great motivation to get into shape and a brilliant opportunity to raise money for the worthy cause of the Advocacy. We look forward to a photo in the next issue of NANews which shows Andrew completing the run. Do see his fundraising page: Andrew's fundraising page for NA. All you athletes out there: if you fancy a run and wish to support NA, contact ginger@naadvocacy.org for more information of how to design your own fundraising web page. Rare Disease Day, 28 February 2014, offers the opportunity for anyone affected by a rare disease, such as NA, to come together and help put a spotlight on these conditions, individually and collectively. Mervyn Edward Curry was born 4th of August 1975 to his mum Ruby and his late father Eddie, the youngest in a family of four. He had two sisters and a brother. He attended school in Northern Ireland and started employment with a tractor dealership as a store man and held similar positions with other employers through the years. He loved the craic and enjoyed banter with his friends. 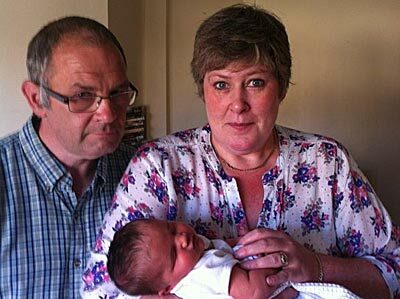 Mervyn married Clare in 2003 and soon began to have symptoms of NA. 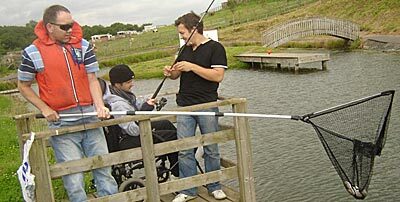 It took years to get a final diagnosis but Mervyn got on with activities he could accomplish, attended a day centre joining discussions and quizzes and joined the Erne disabled fishing club, enjoying various outings. Mervyn had several chest infections over the last 18 months and sadly passed away on 25 October this year. Our sympathies to Clare and family at this difficult time. We get a report from Paul Robbins' family in England and an update from David, Pilar and Mario Monterro in Spain. From left to right: Bendikt Bader, Zuhal Yapici, Adrian Danek and Hismet Hanagazi. 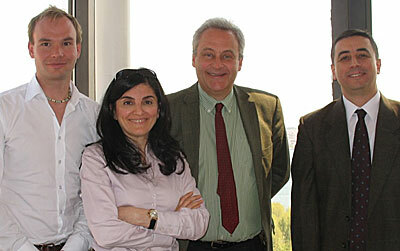 Benedikt Bader and Adrian Danek spent two weeks in Istanbul as Erasmus teaching staff in April. They taught a course in brain anatomy and were happy to find an opportunity to meet with Zuhal Yapic in order to clarify some issues concerning data that was needed to complement the information on patient characteristics. This was needed to finish up EMINA-1 research reports on red cell membrane findings prepared by the groups in Vienna and Nijmegen. The meeting included a visit to a restaurant with a great view of the Bosphorus. Hismet Hanagazi is another colleague and professor at the Neurology Department of Istanbul University, Zuhal Yapici is a professor of child neurology there and part of the EMINA-1 consortium. 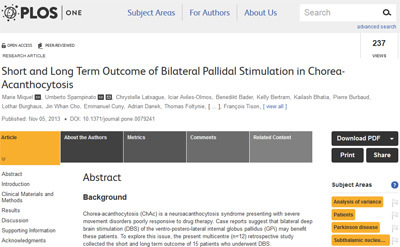 Francois Tison and Umberto Spampinato in Bordeaux have published their study on deep brain stimulation in the Public Library of Science, PLOS. Glenn and Ginger Irvine have written an account of the development of the Advocacy published in Tremor Journal. With encouragement and support from Ruth Walker, Ginger and Glenn wrote an article on the development of the Advocacy which has been published on-line by the Tremor Journal. To read the article see the website here.